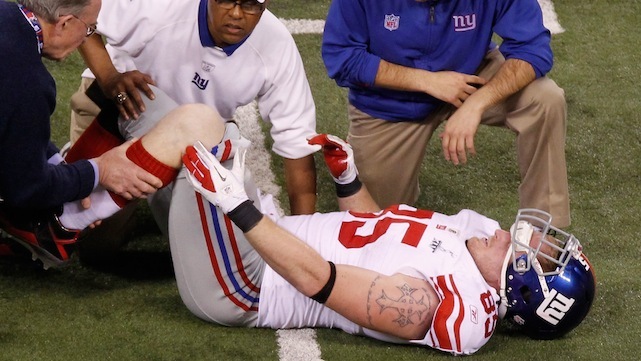 Being an injury geek, the most interesting part of last week’s Super Bowl was hearing that two New York Giants players had suffered ACL injuries on the FieldTurf surface. I have previously made the comment that the football codes are to Australians what languages are to the Swiss. Sadly most Australians, including myself, are monolingual, only being proficient in the English language (and for many Australians even this is open to argument). The Swiss, by comparison, are masters of many languages, including English and their four native ones, but many of them only follow one type of football. As an Australian, I can hold a conversation about most of the football codes and American Football is perhaps my fifth or sixth football “language”1. I have long had a strong interest in the relationship between ACL injuries and the playing surface2. I think the published research from the various football codes can be combined to get a true understanding of ACL shoe-surface risk factors. Interestingly, ACL injuries are relatively uncommon in the EPL3 compared both to other football codes and soccer played in other countries. I believe that this is the case because the vast majority of EPL matches are played on ryegrass. 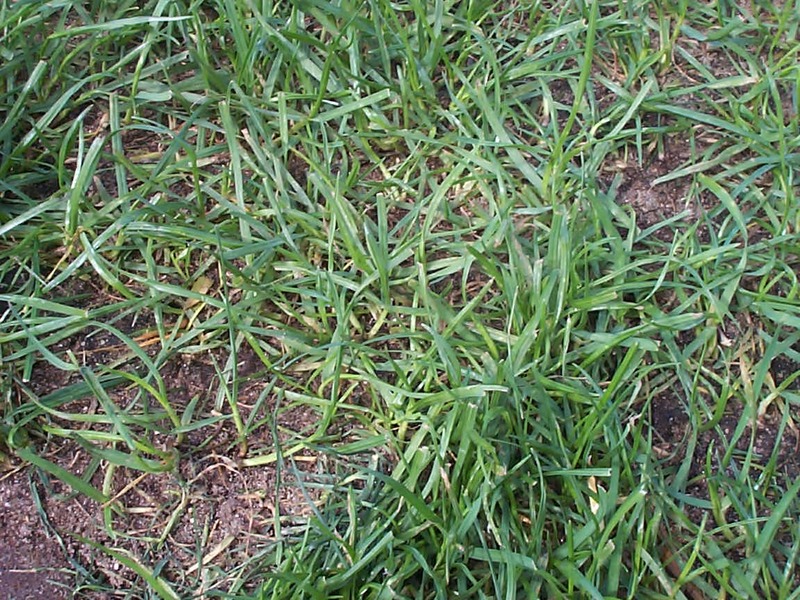 Ryegrass is to ACL tears what the Mediterranean diet is to heart disease4. The football (soccer) teams playing in Australia’s A-League get more ACL injuries than EPL teams, even though the schedule has less than half as many games. On a population basis, the rate of ACL injuries in the UK5 is about a quarter of the rate in Australia6. Obviously there are many confounders, but I am certain that climatic factors are at least partially responsible for the large discrepancy. I studied ACL injuries in the NFL about a decade ago1. This study compared rates of ACL injuries on natural grass compared to artificial turf, at that stage primarily Astroturf. The rates on Astroturf were not significantly higher than natural grass – however the circumstances under which the ACL injuries occurred varied substantially according temperature with respect to artificial turf1. In domed stadiums, the ACL injury rate was constant (and fairly high) throughout the season. In artificial turf stadiums there that were in the open air, with variable temperatures, the ACL injury rate was very high early in the season (hot weather) and much lower later in the season (outside air was cold). These data tell me that artificial turf may be quite safe, possibly even desirable, in very cold weather, but in warm/hot weather it may be associated with an increased risk of ACL injuries. The majority of NFL stadiums that use artificial turf have switched to newer products in recent years — FieldTurf is the number one brand. FieldTurf performance is better than the older generation artificial surfaces with respect to player satisfaction, probably because the surface is softer and ‘feels’ more like natural grass. However, the shoe-surface traction may be at least as high with FieldTurf as with older artificial surfaces. Player satisfaction is actually quite high when shoe-surface traction is high, but this may be associated with higher ACL injury risk2. Although I haven’t seen any data with respect to FieldTurf and temperature, the null hypothesis is that shoe- surface traction is higher on all artificial surfaces in hotter weather and lower in colder weather7. MARCH 2010 STUDY – WHERE ARE THESE DATA? A study which I have only seen in abstract form, presented at a conference in March 2010, showed that FieldTurf was associated with an 88% greater relative risk of ACL injury compared to natural grass surfaces in the NFL over a seven year period (which was highly significant)8. I have been eagerly awaiting the full paper, as I would expect it to perhaps show that the FieldTurf stadiums which were in the open air in cooler climates didn’t have a problem, but those in domed stadiums or in warmer climates were of higher ACL risk. If such results were observed, it doesn’t mean that FieldTurf or artificial surfaces shouldn’t be used for football. It would just mean they should be reserved mainly for the situation where common sense suggests they should be used – in cold climates where natural grass doesn’t grow well in winter. My question is, where are the data? The BMJ recently emphasized the importance of airing the results of clinical trials. The Sydney University women’s first grade football team played their home matches last year on an artificial (not FieldTurf) surface, one of the few in Sydney. They apparently had zero ACL injuries in their away games (all on natural grass) and three ACL injuries on their artificial (home) surface. This is not statistically significant but when you sift through the surface literature you have to wonder why you would take the risk of playing on artificial turf in a warm climate like Sydney where natural grass grows beautifully and is cheap to maintain? The main papers that report that new generation artificial turf has acceptable injury rates were either conducted in cold climates9 or sponsored by industry10. It is frustrating that there has been a long delay in seeing a paper which I believe will more accurately reflect the risks involved, but when the Hershman study appears as a full paper, I think it will be a landmark one and worth the wait 8. For further reading on ACL injury prevention follow this link to Dr. Orchard’s Article on page 17 of Sport Health. 1. Orchard J, Powell J. Risk of knee and ankle sprains under various weather conditions in American football. Medicine & Science in Sports & Exercise 2003;35(7):1118-23. 2. Orchard J. Is there a relationship between ground and climatic conditions and injuries in football? Sports Med 2002;32(7):419-32. 3. Walden M, Hagglund M, Ekstrand J. Regional differences in injury incidence in European professional football. Scand J Med Sci Sports 2011:in press. 4. Orchard J, Chivers I, Aldous D, Bennell K, Seward H. Ryegrass is associated with fewer non-contact anterior cruciate ligament injuries than bermudagrass. Br J Sports Med 2005;39:704-09. 5. Jameson SS, Dowen D, James P, Serrano-Pedraza I, Reed MR, Deehan D. Complications following anterior cruciate ligament reconstruction in the English NHS. Knee 2011. 6. Janssen K, Orchard J, Driscoll T, van Mechelen W. High incidence and costs for anterior cruciate ligament reconstructions performed in Australia 2003-04 to 2007-08: time for an anterior cruciate ligament register by Scandinavian model? Scand J Med Sci Sports 2011:doi: 10.1111/j.600-0838.2010.01253.x. 7. Torg JS, Stilwell G, Rogers K. The effect of ambient temperature on the shoe-surface interface release coefficient. Am J Sports Med 1996;24(1):79-82. 8. Hershman E, Powell J, Bergfeld J, Johnson R, Spindler K, Wojtys E, et al. American Professional Football Games Played on FieldTurf have Higher Lower Extremity Injury Rates. American Academy of Orthopedic Surgeons Annual Meeting. San Francisco, 2010. 9. Ekstrand J, Timpka T, Hägglund M. Risk of injury in elite football played on artificial turf versus natural grass: a prospective two-cohort study. Br J Sports Med 2006;40:975 – 80. 10. Meyers M, Barnhill B. Incidence, causes and severity of high school football injuries on FieldTurf versus natural grass. Am J Sports Med 2004;32(7):1626-38.